When I sat down to play patch 7.3, my first thought was: this is what Legion should have been all along. After thinking about it, I revised that opinion. 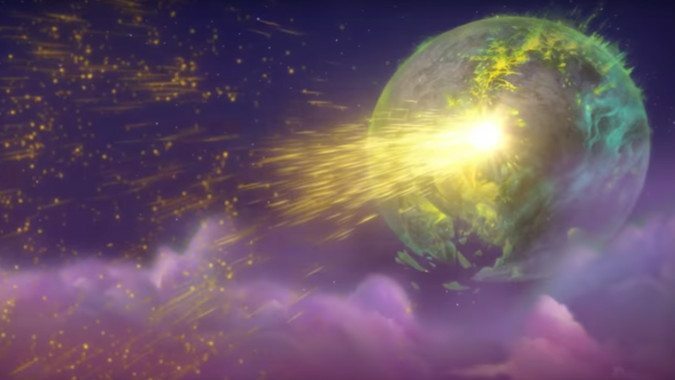 Legion should not have been Argus, because Legion is a perfectly fine expansion. Rather, Argus should have been an expansion unto itself. When you have an expansion called Legion, you expect a whole lot of Burning Legion. In the early (and leveling) stages of the expansion, I was surprised by how limited the Burning Legion’s presence really was. The game almost avoided the Burning Legion, instead turning aside and presenting us with Legion-adjacent stories instead. There are demons in Azsuna, but the central story focuses upon the naga — naga who aren’t, as far as we can tell, aligned with the Burning Legion. Val’Sharah has demons in it, but their allegiance to the Burning Legion is questionable. The zone’s central storyline ties into the Old Gods instead. Highmountain, by and large, focuses upon the zone’s own internal history and politics, a conflict between the tauren and the drogbar. Eliminate a single carefully-placed cup of demon blood and a greenish tint on some of the tauren, the zone would have nothing to do with the Burning Legion. Stormheim is much the same; it’s a story of vrykul mythos and politics, but Skovald started reppin’ green warpaint. All of these plots had loose ties to the Burning Legion, but rarely looked right at them. The expansion seemed afraid to pull that trigger until endgame. Even then, it took a couple of raid tiers before we really dug into what the expansion was supposed to be all about. An expansion titled Legion wanted to tell stories about everything except the Burning Legion. Argus gameplay involves zooming around in a spaceship, calling down laser air strikes, and riding magical machines fueled by holy power. The Burning Legion wields not only an army of demons, but its own giant mecha robots. 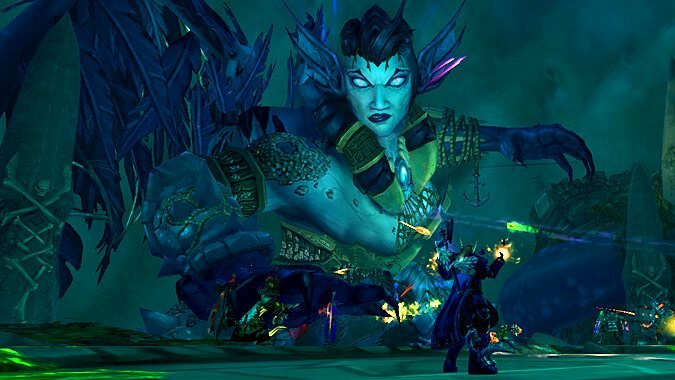 Argus, like The Burning Crusade, embraces the weird side of the Burning Legion. 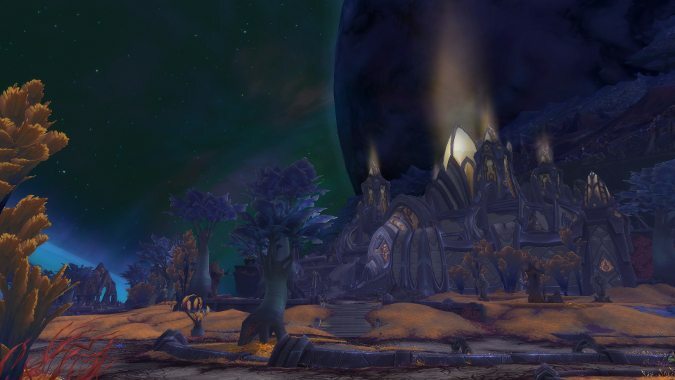 Argus knows Warcraft isn’t your typical fantasy setting. Remember: Orcs, in the Warcraft setting, are aliens from outer space. That’s weird! The Burning Legion invading Azeroth is quite possibly the least interesting thing the Burning Legion could do. Now, pursuing them to other planets? That’s my jam. And that’s the Burning Legion’s jam. They’re a threat on a cosmic level. Every other villain might claim as much — but none of them have followed through. The Burning Legion is the only group that has actually taken us to the cosmos and that’s what makes them unique. Unfortunately, now that we’ve finally found the essence of the Burning Legion on Argus, it’ll soon be over. Maybe it’s my fault for letting my imagination run away with me, but nearly everything Argus brings to the table seems like a glimmer of what could have been. 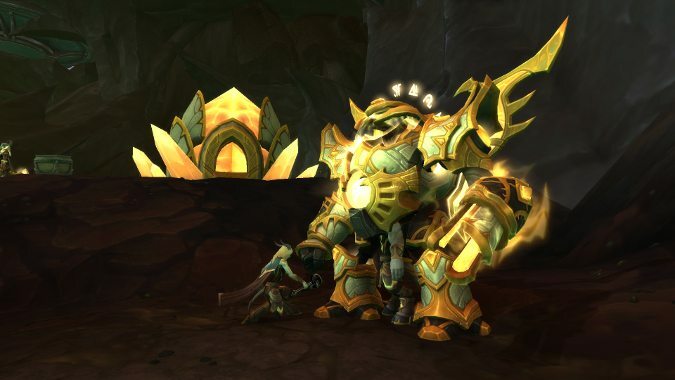 The Army of the Light has been teased for awhile now, described as a vast and glorious army — and it needs to be to stand up to the Burning Legion. 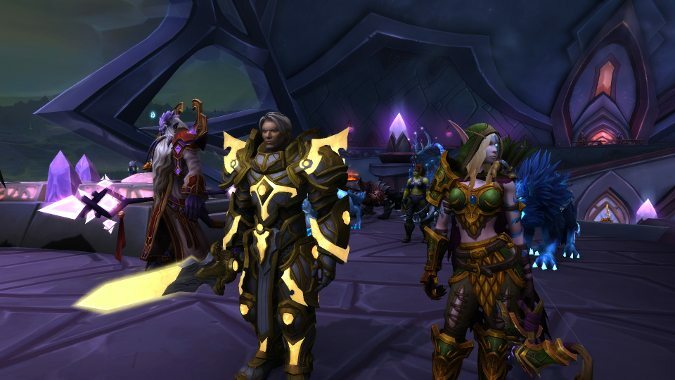 Knowing Turalyon and Alleria were among their number, and seeing Lothraxion in the Paladin order hall, painted a picture of a diverse army of rebels gathered from across the stars. From what little we knew of them, it seemed the Army of the Light was recruiting the elite of the elite. They were assembling a force from those who survived the Burning Legion’s warpath across the cosmos. 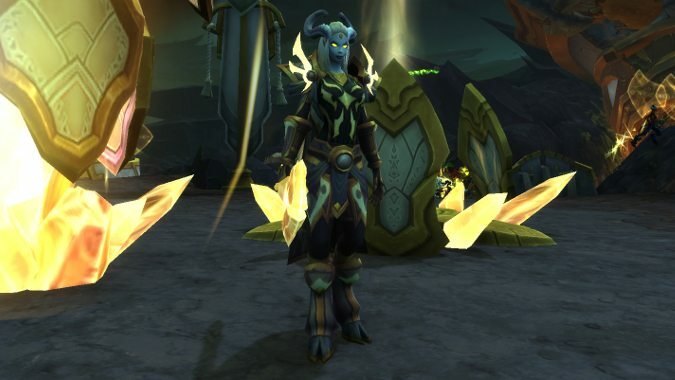 What the Army of the Light actually is is a bunch of Draenei. And don’t get me wrong, the Draenei are cool. So are the individual characters among those Draenei. But it doesn’t live up to the hype, does it? Sure, creating a batch of new races and their associated character models just for a content patch is asking a bit much. But for an expansion? Why not? That concern also exists for Turalyon and Alleria. Is this is all they get? After all these years of looking for them, asking about their whereabouts, hoping and waiting for their return… do they disappear into the background again once patch 7.3 wraps up? I’ve heard the idea that Argus couldn’t be a full expansion because we couldn’t do another expansion of green, blasted rocks, but I don’t buy it and there’s a few reasons why I don’t. First, Invasion Points take us — albeit briefly — to alien worlds beyond Argus to pursue the Burning Legion. We already visit Legion worlds that aren’t green, blasted rocks! Second, the Broken Isles were a couple of green, blasted rocks in Warcraft 3. As of Legion, they aren’t, because the developers decided to make something different. They can do whatever they want. Nothing says Argus must be green, blasted rocks and nothing else. Finally, the Argus we have in-game is already not simply blasted rock. Mac’Aree looks completely different. I’m sure, when that explanation for why Argus isn’t a full expansion was given, that explanation was meant to be a glib joke. But people have taken it as a legitimate reason why Argus isn’t a full expansion and that’s absurd. Nothing needs to be anything. Argus is not a real place. Imagination is infinite. Maybe I’m alone in all of this. While I thoroughly enjoyed Legion as an expansion, what Argus presents is what I had been waiting for the entire time. The weirdness, the vast implications, and a war amongst the cosmos. But instead of finally receiving the meal I ordered, I was only given a taste.